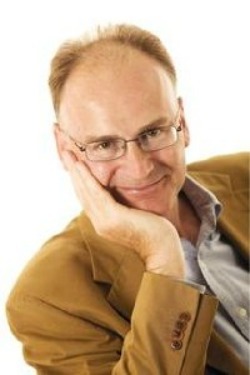 Matt Ridley, a prolific author (among many other professional accomplishments) recently name-checked by Bill Clinton as one of the “smartest, most penetrative thinkers” remains one of the highest profile skeptics toward the likelihood of catastrophic anthropogenic global warming. Last week he delivered the 2011 Angus Millar Lecture at the Royal Society of Arts in Edinburgh. The title of his talk was “Scientific Heresy,” and it detailed extensively why he remains skeptical on this issue. You can read the entire text of the talk here. A PDF with accompanying graphs and charts is here. Using these six lessons, I am now going to plunge into an issue on which almost all the experts are not only confident they can predict the future, but absolutely certain their opponents are pseudoscientists. It is an issue on which I am now a heretic. I think the establishment view is infested with pseudoscience. The issue is climate change. Now before you all rush for the exits, and I know it is traditional to walk out on speakers who do not toe the line on climate at the RSA – I saw it happen to Bjorn Lomborg last year when he gave the Prince Philip lecture – let me be quite clear. I am not a “denier”. I fully accept that carbon dioxide is a greenhouse gas, the climate has been warming and that man is very likely to be at least partly responsible. When a study was published recently saying that 98% of scientists “believe” in global warming, I looked at the questions they had been asked and realized I was in the 98%, too, by that definition, though I never use the word “believe” about myself. Likewise the recent study from Berkeley, which concluded that the land surface of the continents has indeed been warming at about the rate people thought, changed nothing. I’ve looked and looked but I cannot find one piece of data – as opposed to a model – that shows either unprecedented change or change is that is anywhere close to causing real harm. No doubt, there will be plenty of people thinking “what about x?” Well, if you have an X that persuades you that rapid and dangerous climate change is on the way, tell me about it. When I asked a senior government scientist this question, he replied with the Paleocene-Eocene Thermal Maximum. That is to say, a poorly understood hot episode, 55 million years ago, of uncertain duration, uncertain magnitude and uncertain cause. Meanwhile, I see confirmation bias everywhere in the climate debate. Hurricane Katrina, Mount Kilimanjaro, the extinction of golden toads – all cited wrongly as evidence of climate change. A snowy December, the BBC lectures us, is “just weather”; a flood in Pakistan or a drought in Texas is “the sort of weather we can expect more of”. A theory so flexible it can rationalize any outcome is a pseudoscientific theory. To see confirmation bias in action, you only have to read the climategate emails, documents that have undermined my faith in this country’s scientific institutions. It is bad enough that the emails unambiguously showed scientists plotting to cherry-pick data, subvert peer review, bully editors and evade freedom of information requests. What’s worse, to a science groupie like me, is that so much of the rest of the scientific community seemed OK with that. They essentially shrugged their shoulders and said, yeh, big deal, boys will be boys. Nor is there even any theoretical support for a dangerous future. The central issue is “sensitivity”: the amount of warming that you can expect from a doubling of carbon dioxide levels. On this, there is something close to consensus – at first. It is 1.2 degrees centigrade. Here’s* how the IPCC put it in its latest report. “In the idealised situation that the climate response to a doubling of atmospheric CO2 consisted of a uniform temperature change only, with no feedbacks operating…the global warming from GCMs would be around 1.2°C.” Paragraph 8.6.2.3. Now the paragraph goes on to argue that large, net positive feedbacks, mostly from water vapour, are likely to amplify this. But whereas there is good consensus about the 1.2 C, there is absolutely no consensus about the net positive feedback, as the IPCC also admits. Water vapour forms clouds and whether clouds in practice amplify or dampen any greenhouse warming remains in doubt. In conclusion, I’ve spent a lot of time on climate, but it could have been dietary fat, or nature and nurture. My argument is that like religion, science as an institution is and always has been plagued by the temptations of confirmation bias. With alarming ease it morphs into pseudoscience even – perhaps especially – in the hands of elite experts and especially when predicting the future and when there’s lavish funding at stake. It needs heretics. The Competitive Enterprise Institute held a joint event with Reason magazine last year for Matt Ridley’s latest book: The Rational Optimist. I find it hard to believe that fighting global warming can also cause global warming. How true is that? The difference in approach is between Baconian – empirical science solidly based on data and the Platonic IPCC approach – based on theoretical assumptions built into climate models. 1. Oceans cover about 70% of the surface. 2. Because of the thermal inertia of water – short term noise is smoothed out. 3. All the questions re UHI, changes in land use local topographic effects etc are simply sidestepped. 4. Perhaps most importantly – what we really need to measure is the enthalpy of the system – the land measurements do not capture this aspect because the relative humidity at the time of temperature measurement is ignored. In water the temperature changes are a good measure of relative enthalpy changes. 5. It is very clear that the most direct means to short term and decadal length predictions is through the study of the interactions of the atmospheric sytems ,ocean currents and temperature regimes – PDO ,ENSO. SOI AMO AO etc etc. and the SST is a major measure of these systems. Certainly the SST data has its own problems but these are much less than those of the land data. What does the SST data show? The 5 year moving SST temperature average shows that the warming trend peaked in 2003 and a simple regression analysis shows an eight year global SST cooling trend since then .The data shows warming from 1900 – 1940 ,cooling from 1940 to about 1975 and warming from 1975 – 2003. CO2 levels rose monotonically during this entire period. There has been no net warming since 1997 – 14 years with CO2 up 7% and no net warming. Anthropogenic CO2 has some effect but our knowledge of the natural drivers is still so poor that we cannot accurately estimate what the anthropogenic CO2 contribution is. Since 2003 CO2 has risen further and yet the global temperature trend is negative. This is obviously a short term on which to base predictions but in the context of declining solar magnetic field strength and activity – to the extent of a possible Dalton or Maunder minimum and the negative phase of the Pacific Decadal a global 20 – 30 year cooling spell is more likely than a warming trend. It is clear that the IPCC models , on which AL Gore based his entire anti CO2 scare campaign ,have been wrongly framed. and their predictions have failed completely. This paradigm was never well founded ,but ,in recent years, the entire basis for the Climate and Temperature trends and predictions of dangerous warming in the 2007 IPCC Ar4 Summary for Policy Makers has been destroyed. First – this Summary is inconsistent with the AR4 WG1 Science section. You should note that the Summary was published before the WG1 report and the editors of the Summary , incredibly ,asked the authors of the Science report to make their reports conform to the Summary rather than the other way around. When this was not done the Science section was simply ignored.. I give one egregious example – there are many others. What could be clearer. The IPCC itself says that we don’t even know what metrics to put into the models to test their reliability.- i.e. we don’t know what future temperatures will be and we can’t yet calculate the climate sensitivity to anthropogenic CO2.This also begs a further question of what mere assumptions went into the “plausible” models to be tested anyway. Nevertheless this statement was ignored by the editors who produced the Summary. Here predictions of disaster were illegitimately given “with high confidence.” in complete contradiction to several sections of the WG1 science section where uncertainties and error bars were discussed. A key part of the AGW paradigm is that recent warming is unprecedented and can only be explained by anthropogenic CO2. This is the basic message of the iconic “hockey stick ” However hundreds of published papers show that the Medieval warming period and the Roman climatic optimum were warmer than the present. The infamous “hide the decline ” quote from the Climategate Emails is so important. not so much because of its effect on one graph but because it shows that the entire basis if dendrothermometry is highly suspect. A complete referenced discussion of the issues involved can be found in “The Hockey Stick Illusion – Climategate and the Corruption of science ” by AW Montford. Temperature reconstructions based on tree ring proxies are a total waste of time and money and cannot be relied on. There is no evident empirical correlation between CO2 levels and temperature, In all cases CO2 changes follow temperature changes not vice versa. Humidity, and natural CO2 levels are solar feedback effects not prime drivers. Recent experiments at CERN have shown the possible powerful influence of cosmic rays on clouds and climate. Solar Cycle 24 will peak in a year or two thus masking the cooling to some extent, but from 2014 on the cooling trend will become so obvious that even the BBC and the Guardian will be unable to continue ignoring the real world – Huhne and Cameron however are delusional beyond all redemption and will undoubtedly still be tilting at their beloved windmills. “I was thrown out of my research group. I entirely agree about HadSST being the best metric to use. I once ran a hindcast comparison of HadSST vs HadCRUT model predictions. The variance of SST greatly exceeds model output almost everywhere on the face of the globe. Not only do the two data sets differ at a high level of significance using Fisher’s variance ratio test, it is obvious to the naked eye that some major forcing has been omitted from the models. Intermittant submarine volcanism almost certainly exceeds winds, tides and thermohaline circulation in terms of forcing of ocean circulation but is completely ignored by oceanographers and climate modelers. What a pity this simple proposition is considered unsuitable for publication in peer-reviewed journals. This nonsense will go on until the taxpayers money is withdrawn. Our money will continue to be wasted as long as polititians can still gain more power and tax more (and the UN still has its dream of power and the EU leaders have not yet achieved total union). As soon as the money leaves the collapse will quickly follow. So . . it is up to us. There are signs in the UK that the public is wising up as the effects of all the disgraceful ‘green’ taxes are beginning to be seen – increased fuel & heating costs, food costs rising, hatred of windmill and, in the wider world, 3rd world starvation. The fear in the political classes, of the power going off and the distruction of the economy, can now be seen . The public are getting angry as they realize that they have been fed very expensive hokem. sounds like Joe Bastardi saying in November 2010 that we would see a very cold year in 2011.
i carry out a lot of infra-red spectroscopy as part of my job; it is my observation that water vapour is a better absorber of infra-red than an equivalent amount of carbon dioxide. it follows that water vapour is a more potent greenhouse gas than carbon dioxide. water vapour’s concentration varies, depending on the weather, but it is usually an order of magnitude higher. the contribution of carbon dioxide to global temperatures cannot, therefore, be anything other than minimal.